Monrovia, Monday, April 8, 2019- The Press Union of Liberia says comments by some senators that there were interferences in the recent impeachment of Justice Kabineh Ja’neh, are worrisome. PUL says, if the senators’ allegations are accurate, then such action, has the propensity to undermine the independence of the three branches of Government, thereby questioning the integrity of Liberia’s constitutional democracy. Such alleged interferences are perhaps a result of too much concentration of political power in one branch of government against the other two - that could often lead to misuse and abuse. It is only far reaching and impactful for our country, when powers prescribed for the three branches of Liberia’s envisioned democratic unitary government are clearly defined, the Union stresses. The PUL laments that with bulk of the country’s constitutional powers currently being left to the Presidency and its discretional usage by individuals occupying the top job, it undercuts the deepening of Liberia’s brand of democracy. Courts must be able to, without fear and favor, check executive actions when running outside of its constitutional power limit. The PUL therefore wants government to revert to conclusive constitutional reform process that will enhance the independence of other branches of government, especially the judiciary. PUL President Charles B. Coffey, Jr.: “The time is now that Liberia decentralizes power and services, wherein local governments perform low level functions for the people, leaving the bigger issues like execution of foreign policy, management of trade and Immigration, and defense to central government. The Press Union insists that successful democracies exercise political power that respects the law, the constitution’s call for separation of power, and the will of the people through the decisions of their representatives avoiding arm-twisting and manipulations has brought states quality livelihood for its citizenry. Constitutional reform processes in Liberia (2012 - 2015) remain inconclusive. Then President Ellen Johnson Sirleaf summited a bill for referendum to the legislature, and in 2016, the House of Representatives passed it. 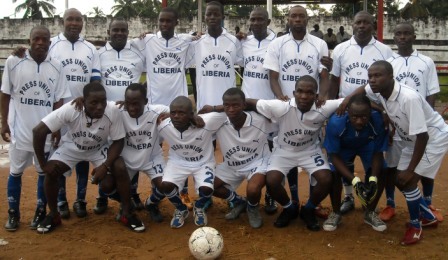 The Liberian Senate is yet to concur on the bill.